Combine the stigma of mental health and the ‘rules’ of masculinity and you have a problem. A serious problem. 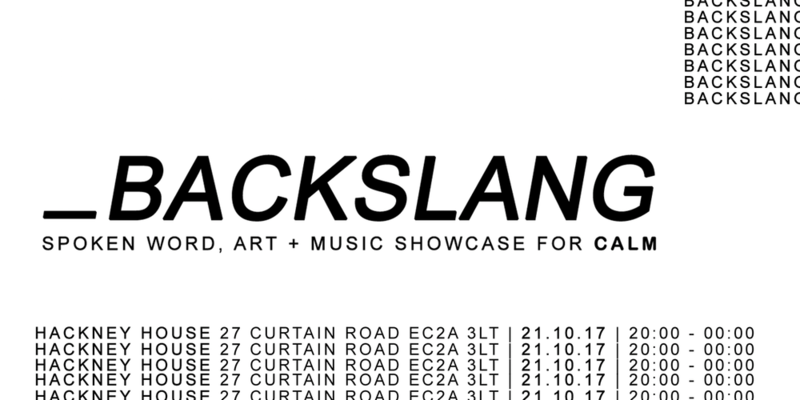 That’s why Backslang and CALM (a charity dedicated to male suicide: the single biggest killer of men under 45 in the UK) have teamed up for an evening of spoken word and music to get men talking. All profits go to CALM. With art collaboration from Luke Norton and music from DELF.